Opiate addiction is a growing problem across the country. Four times more people died from unintended overdose deaths from prescription painkillers in 2014 than during 1999. The National Institute on Drug Abuse reports that about 2.1 million people in the U.S. and between 26.4 and 36 million people worldwide abuse opioids. For someone facing an opioid addiction, withdrawal is a challenging obstacle to face. But, with the right care, you can overcome the difficulties that you encounter during the opioid withdrawal process. 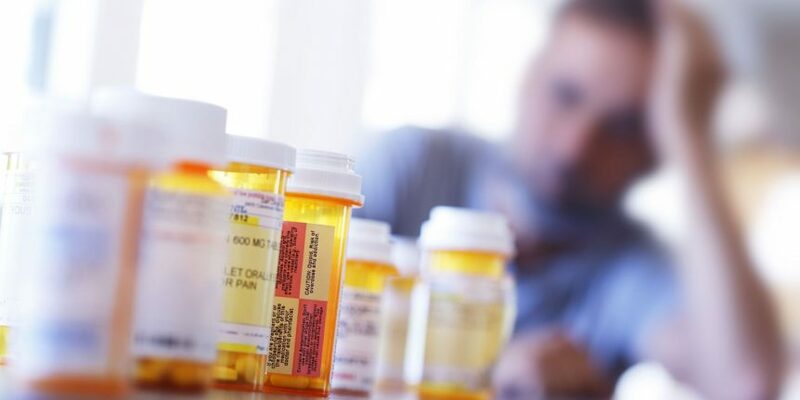 Many people have initially prescribed opioids for the pain suffered because of an injury, a medical condition, or surgery, and then become addicted. Anyone could suffer from opioid addiction. 1 What’s the difference between Opioid vs. Opiate vs. Narcotic? 2 How do Opioids work? 3 What are Opioid Side Effects? 4 What is Opioid Withdrawal? 7 How long do Opioid Withdrawal Symptoms last? 8 How is Opioid Withdrawal Diagnosed? 9 What happens when you seek Treatment for Opioid Addiction? 10 What treatments are available for Opioid Withdrawal? What’s the difference between Opioid vs. Opiate vs. Narcotic? You have probably heard of opioid addiction and opiate addiction and wonder about the difference between the two classes of drugs. Opiates are drugs that are from the opium poppy, which comes from the poppy plant. Opioids refer to the entire family of opiates, including those that are man-made or synthetic. Opioids are an agent that will bind to opioid receptors in the central nervous system and gastrointestinal tract and generate a response. You have most likely heard the term narcotic, and you may wonder what classifies as a narcotic. Technically, narcotics are the same drugs as opioids. For example, prescription painkillers such as hydrocodone or oxycodone are prescription narcotics, or opioids. Heroin would also be referred to as a narcotic because it acts on the same brain receptors and gives the same effects as prescription opioids. Opioids can be very dangerous. 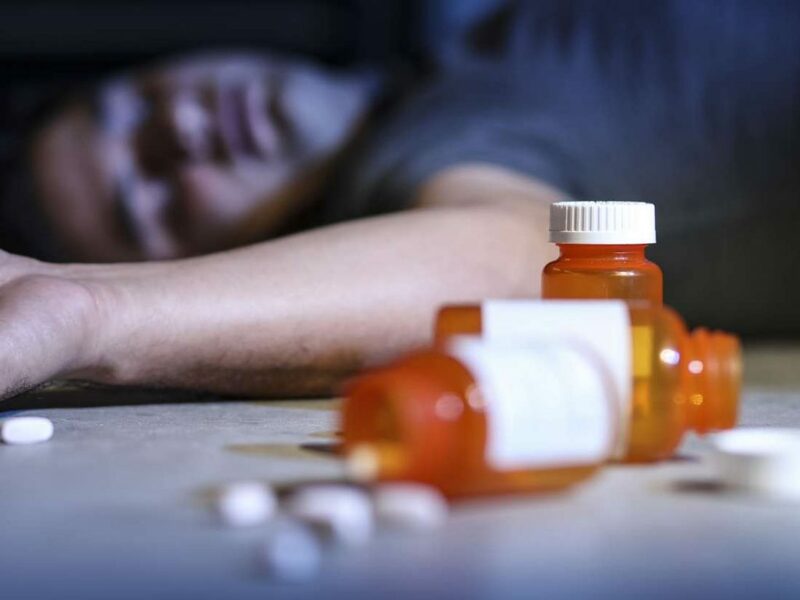 When someone overdoses, it will slow his or her breathing and that can lead to respiratory distress. Asphyxiation is also a cause for opioid overdose deaths. Asphyxiation occurs when the individual vomits then swallows it, and it goes into their lungs causing either an infection of the lungs or drowning. The brain, spinal cord, and other body parts contain opioid receptors. These receptors send pain messages to the brain and result in pain. Opioids attach to those receptors and help reduce the signals so, reducing the severity of the pain. Opioids are used to treat moderate to severe pain, which might not correctly respond to other kinds of pain medicines. Some opioids are given by injection as well. What are Opioid Side Effects? If you are taking opioids, you will most likely suffer from some or from all the different side effects that accompany use of the drugs. There are different effects of opiate use. Dependence is a major side effect of opioid use. An individual can easily become addicted to opioids – even before they realize it. Even the most commonly prescribed painkiller, codeine, is highly addictive. When you are unable to get off the drug despite facing negative consequences of taking it, you have become dependent on the drug. When an individual becomes addicted to a drug, he or she might spend a significant amount of time trying to find more drugs. They might be selling their belongings or stealing things to get the money needed to buy more pills or drugs. Dependence on opioids can destroy relationships. It can affect work performance and school performance. Many opioid abusers face financial difficulties. When an individual reduces their intake of opioids, or when they stop them completely, they will suffer from both mental and physical symptoms. The opioid withdrawal symptoms usually resolve within anywhere from a few days to a few weeks. Opioid withdrawal develops because the body has become accustomed to a specific level of opioids in their system. 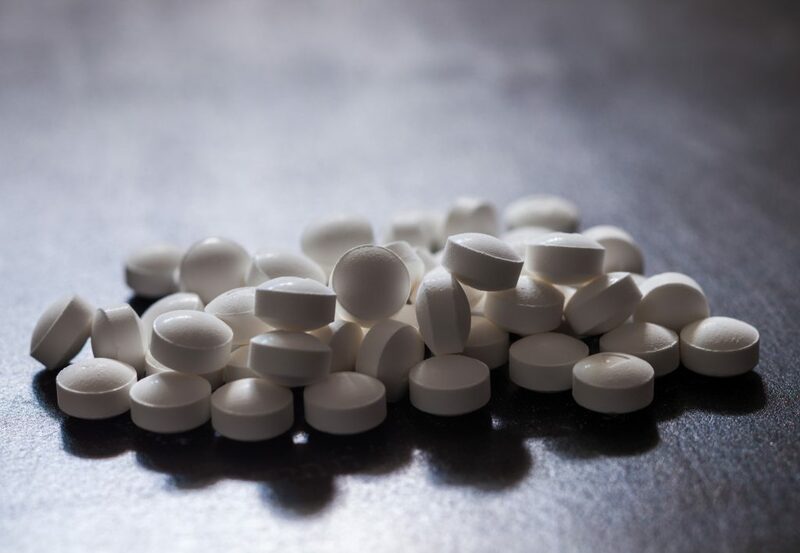 While opioids are very useful when it comes to relieving moderate to severe pain, they can cause a physical dependency that will lead to addiction. There are several different symptoms suffered during opioid withdrawals. 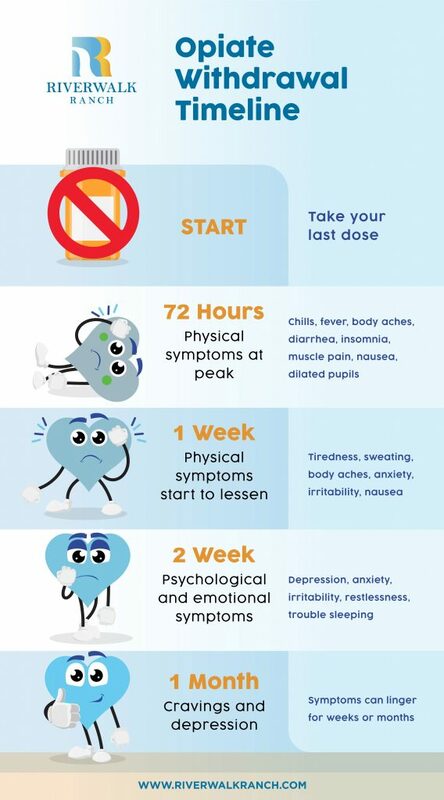 Here are the various stages of opioid withdrawal and the opioid withdrawal timeline, to show which symptoms you can expect at which stage of the withdrawal process. The early opioid withdrawal symptoms usually begin with 24 hours of stopping the painkiller. While the symptoms can be painful and unpleasant, the opioid withdrawal symptoms usually start to subside within 72 hours of the last dosage of the opioid. Within a week of stopping, you should notice a significant reduction in the symptoms suffered from opioid withdrawals. The opioid withdrawal timeline ranges from three days to a week depending on how long opioids were taken the size of the dosage. When an individual reduces their intake of opioids, or when they stop them completely, they will suffer from both mental and physical symptoms. Usually, opioid withdrawal symptoms are resolved within a few days, but it might take a few weeks depending on the severity of the use, the kind of opioid, and the dosage amounts. If the opioid withdrawal timeline takes several days, the severity will worsen after the first day before it starts tapering. There is opioid withdrawal medication available to help reduce the severity of the opioid withdrawal symptoms. There are some opioid withdrawal medications available that can shorten the opioid withdrawal timeline and the severity of the symptoms. If the patient has a severe addiction to methadone, the treating physician might prescribe methadone during the withdrawal process. The physician will gradually decrease the dosage to reduce the patient’s dependency on the drug. How long do Opioid Withdrawal Symptoms last? Usually, the opioid withdrawal symptoms do not last longer than a week. The severity of the symptoms will become less significant after the first 24 to 48 hours of reducing dosage or stopping the opioids altogether. 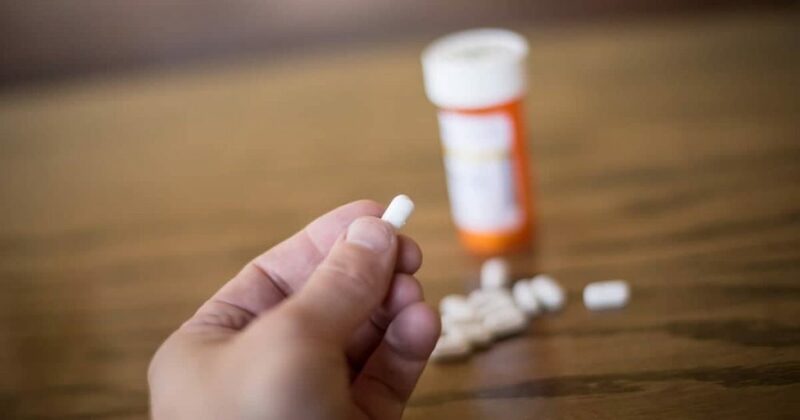 While most of the time opioid withdrawals are not life-threatening, many people require medical supervision and care throughout the medical detoxification and withdrawals process. That is why an individual should seek the help of a qualified opioid addiction center before stopping the drug and going through detoxification. With the proper care and medications, the withdrawals can be minimized, and the process can go much more smoothly. Also, with the right supervision and guidance, the chance of relapse reduces greatly and in the event of a relapse, there is a greater chance of a successful recovery. Opioid withdrawal can be self-diagnosed. When an individual has become physically and mentally dependent on the drug, they will begin to show withdrawal symptoms when the amount of the drug in their system gets reduced or stopped altogether. What happens when you seek Treatment for Opioid Addiction? When the individual with the addiction to opioids seeks help, the program will also help address the opioid withdrawal symptoms and the opioid withdrawal process. To successfully recover from opioid addiction, you will need to seek the proper help from a qualified medical professional. A rehabilitation facility that has medical staff available around the clock is the best option for individuals who are battling an addiction to narcotics. Opioids can cause physical dependence. They are painkillers, which are often prescribed after an injury or surgery or for a medical condition, and usually, the addiction begins after being prescribed the medication for a problem. The user might come to rely on the drug. When he or she stops taking the drug or reduces the dosage or frequency, he or she will suffer withdrawal symptoms. The intensity of those symptoms can vary significantly from one individual to another. The provider will come up with a personalized treatment plan for your specific needs. Withdrawal from opioids without medical care can be very challenging and might even be dangerous. Your medical caregiver will discuss your goals for treatment and recovery with you. There are various settings where opioids withdrawals can take place. Some people may be able to go through withdrawals at home with a strong support system and prescribed opioid withdrawal medication. Others might be able to have success in facilities set up to help patients through opioid detoxification. And, if symptoms are severe, treatment might be required in a regular hospital. The previously mentioned medications, buprenorphine, clonidine, naltrexone, and methadone are useful in treating opioids withdrawals. Sometimes other medicines are also necessary to help with sleep and treat vomiting and diarrhea that some people suffer during the withdrawals process. There are support groups also available to help those recovering from opioids withdrawals. While many people suffer a painful opiate withdrawal process, the withdrawals are usually not life-threatening and usually last no more than a week. There can be possible complications, including aspiration, which involves vomiting and breathing the stomach contents into the lungs. It can lead to an infection in the lungs. Diarrhea and vomiting can cause electrolyte disturbances and dehydration, which can become severe conditions. Relapse is the most significant complication. Studies show that most opiate overdose deaths happen to individuals who have just gone through detoxification. Withdrawal reduces the abuser’s tolerance to the opioid, so after having gone through withdrawal, they will be able to overdose on a much smaller dosage than they had taken before going through detox. With the right help, you can overcome opioid addiction and opioid withdrawals. Opioid addiction is a common condition that can usually be self-diagnosed and is treatable with the right medical help. There is currently a public health alert because the U.S. is in a serious epidemic of opioid abuse and addiction. Effective treatment is available to help those with a mental and physical dependency on opioids to overcome their addictions and regain control of their lives. If you or a loved one is struggling with opioid abuse, call Riverwalk Ranch today to learn about the programs and services available to help you with a successful recovery. Call today, so you can get your life back on the right track and get access to the care that you need.